This era is overshadowed by the era of the dinosaurs but this is the time when life, as we know it, started and took form. Life is still in the water. But it has grown larger and there are predators. In response to there being predators. life has developed protection. One of the most famous life forms is the Trilobite. 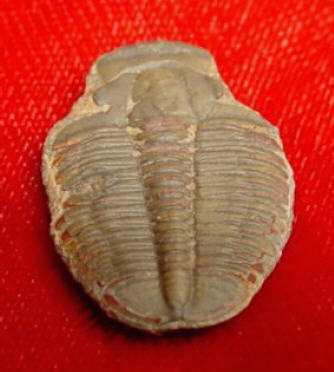 If you look at the Trilobite you will see he looks like he is in three ("tri") segments or lobes. The rock he appears to be perched on was actually the sea floor bottom he was skittering across. The surface of the Trilobite you are looking at was his protective shell. Sometime it worked, sometimes it didn't. The Trilobite above has a bite mark but the protective covering did it's job. The trilobite was scarred but it did live. If the Trilobite knew it was going to be under attack it would protect its soft underside by curling up to only present its outer shell. 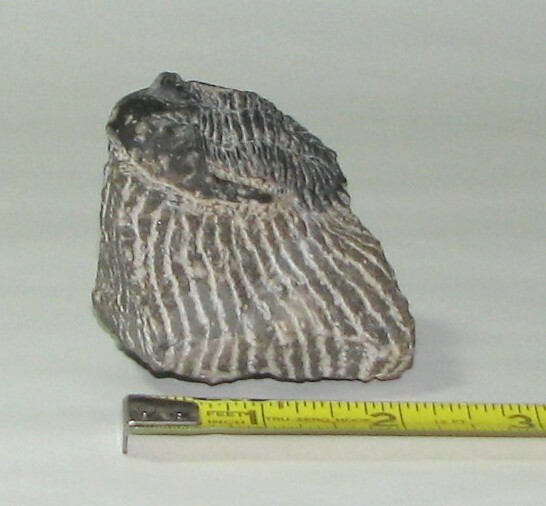 Trilobite sizes varied from under 0.25 inches to 38 inches in size. In Canada there is a protected region with sedimentary rock known as the Burgess Shale. 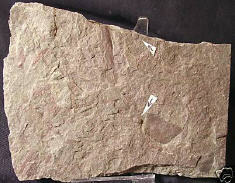 The Burgess Shale produced fossils previously unknown. And these fossils are so detailed that a form of dissection can be performed on them. Pikaia is notable because it is in the family chordata - animals with a spinal cord - which makes it our ancestor. The Burgess Shale fossils are from around 530 million years ago. Another member of the early sea dwellers was the Crinoid. This animal was similar to the modern Sea Lily. 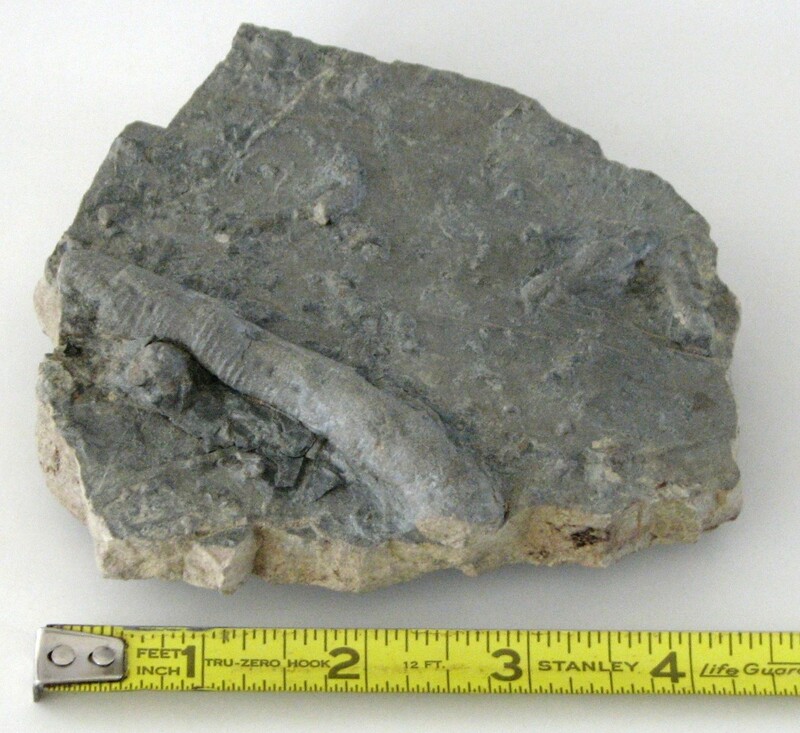 Crinoids lived from about 450 million years ago into today! The Paleozoic Crinoids were not a mobile animal. Above are examples of Orthoceras. The top shows the untouched shell, the bottom shows the polished shell which gives a view of the inside chamber structuring. Orthoceras lived from about 450 million years ago into, possibly, the early Mesozoic Era - 200 million years ago. In life the Orthoceras looked like a squid driving a seashell bus. The living Orthoceras animal would live in the shell with the tentacles projecting out the front. The Orthoceras is a squid ancestor. Another squid ancestor was the Ammonite. Above, on the left, is the Ammonite shell. Again, in life it would house a squid-like creature . 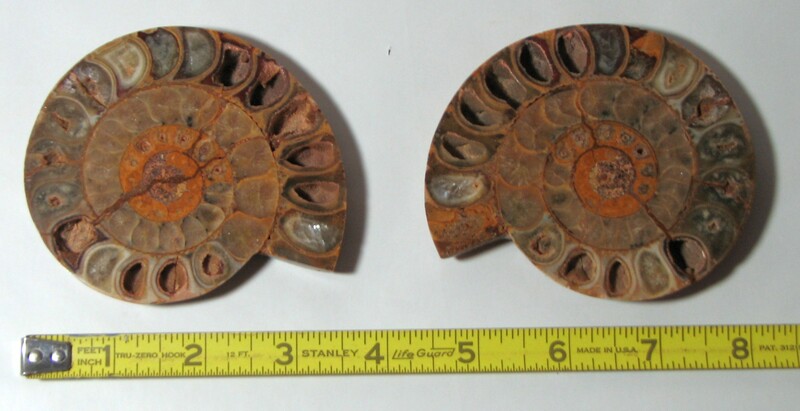 The photo on the right shows the inside structure of the Ammonite. Ammonites would have been able to fill some of their shell with air so it could float and move with the different currents. It may have also been able to move along by shooting streams of water similar to modern squids. 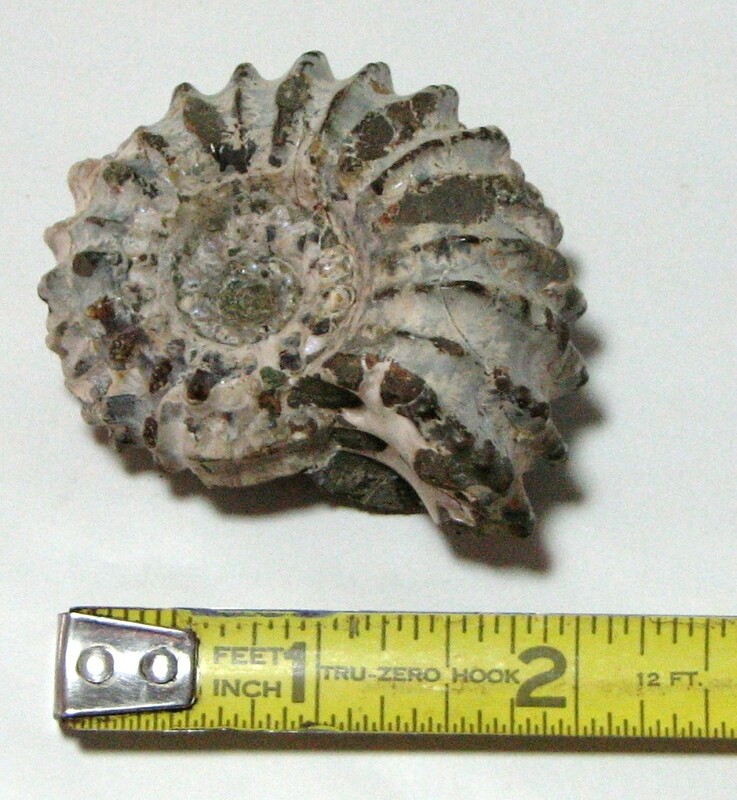 Ammonites lived from about 400 million years ago and died out with the dinosaurs. 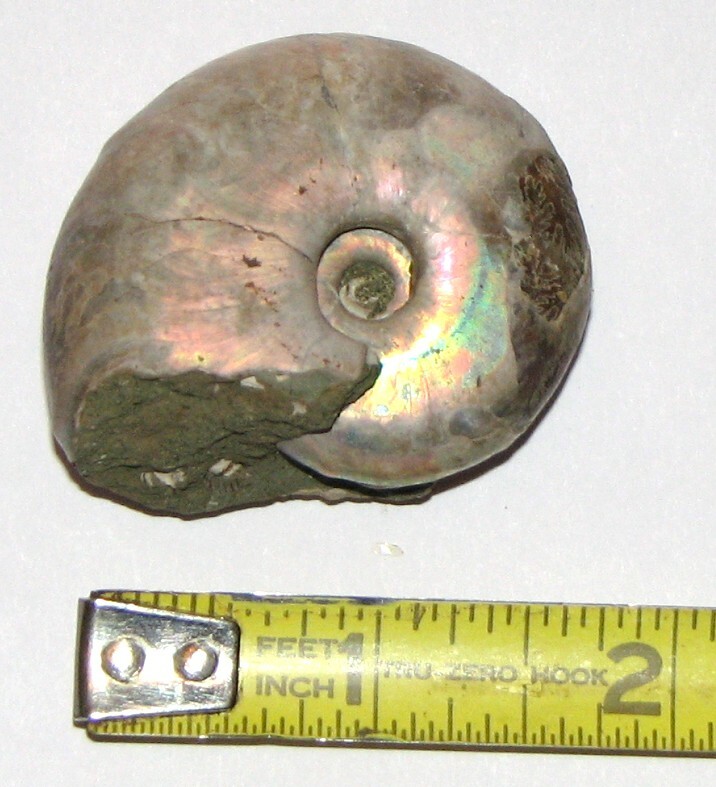 Above is an iridescent Ammonite. This is not its natural color. Fossilization did not preserve color. 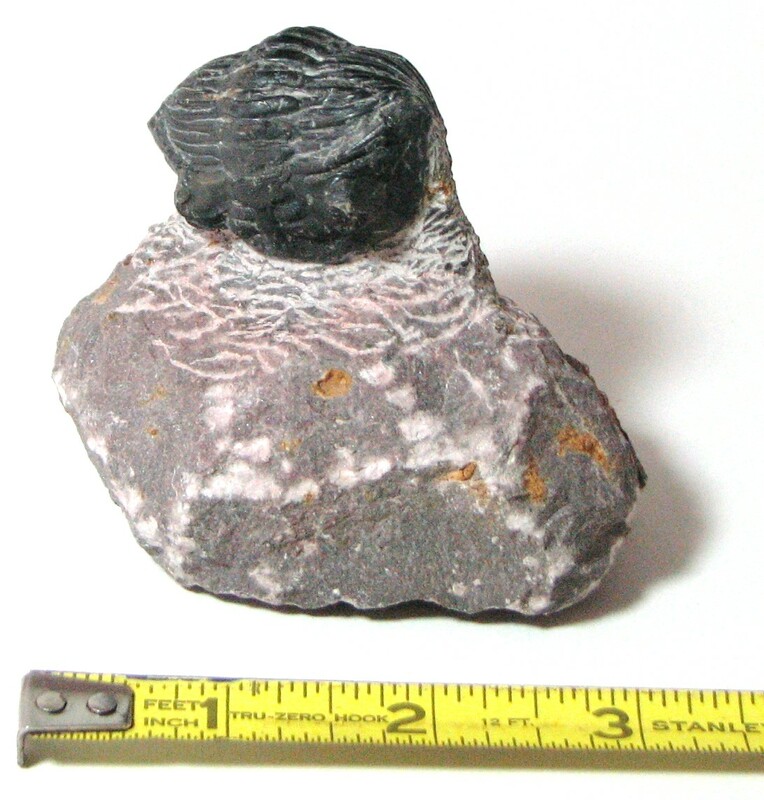 This color came from the minerals that fossilized the Ammonite. The American Museum of Natural History in NYC has a huge iridescent Ammonite on display. There was some life in the water we would easily recognize. Above is a worm burrow from around 430 million years ago. While life was developing in the water new forms of life were developing on land. About 410 million years ago land plants developed. The arrows in the above photo point to Cooksonia seeds. Cooksonia was one of the first land plants. It grew to about 4 inches high. Around 408 million years ago the first "tree" developed. This was a vascular plant that grew upward to a height of about 4 inches. 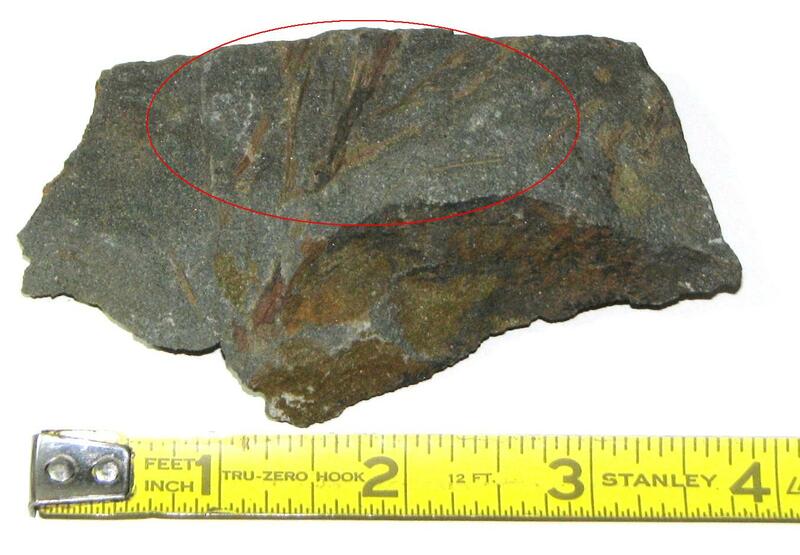 The "tree" was the Archaeopteris (fossil leaves circled above). 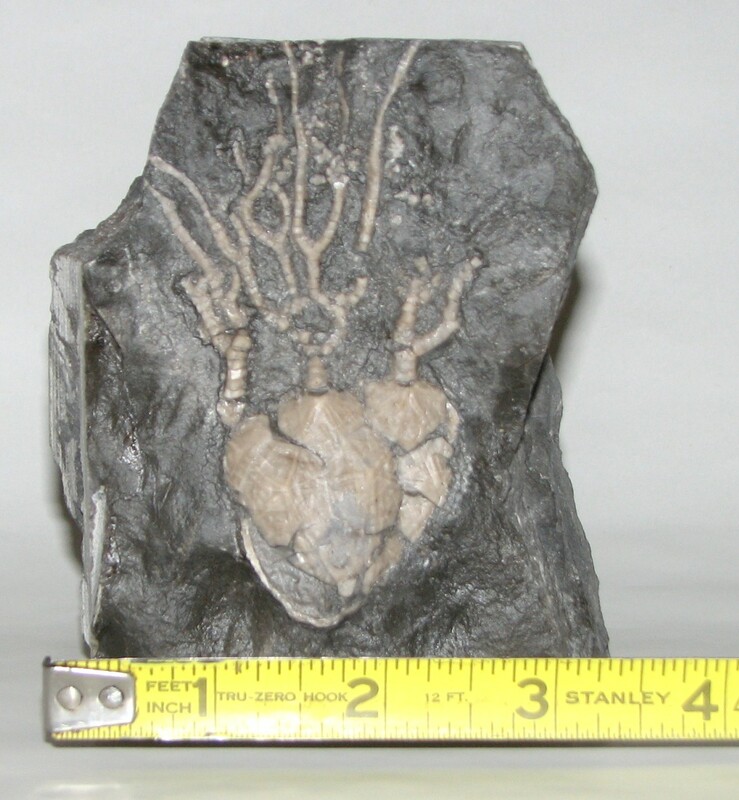 Archaeopteris was the first known true tree and had branches with foliage. 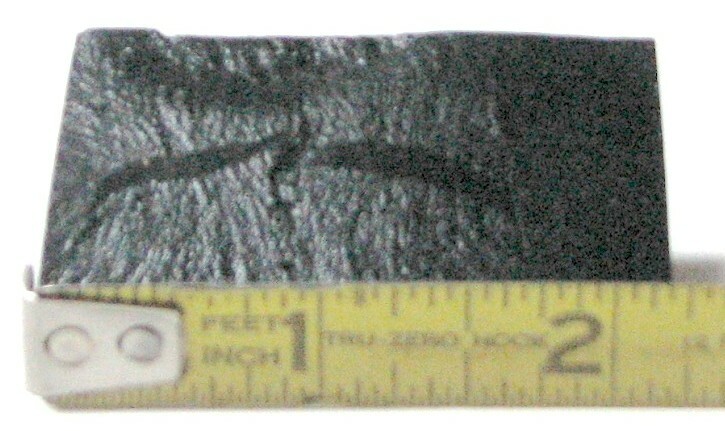 Archaeopteris possibly grew to 60 feet or more. 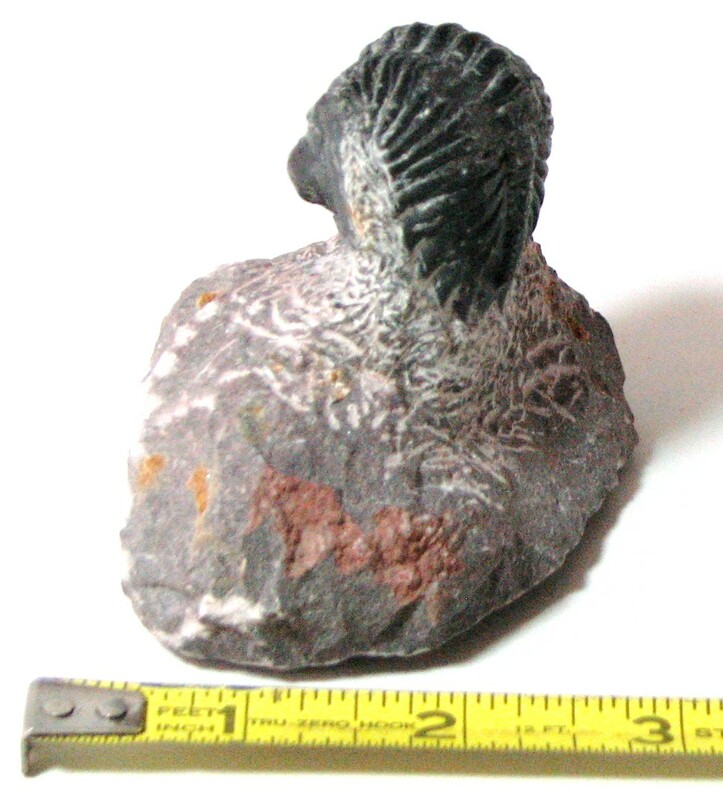 Archaeopteris died out about 354 million years ago. At about the same time that true trees were forming life was moving to the land. The first evidence of animal life are insect tracks starting around 420 million years ago. 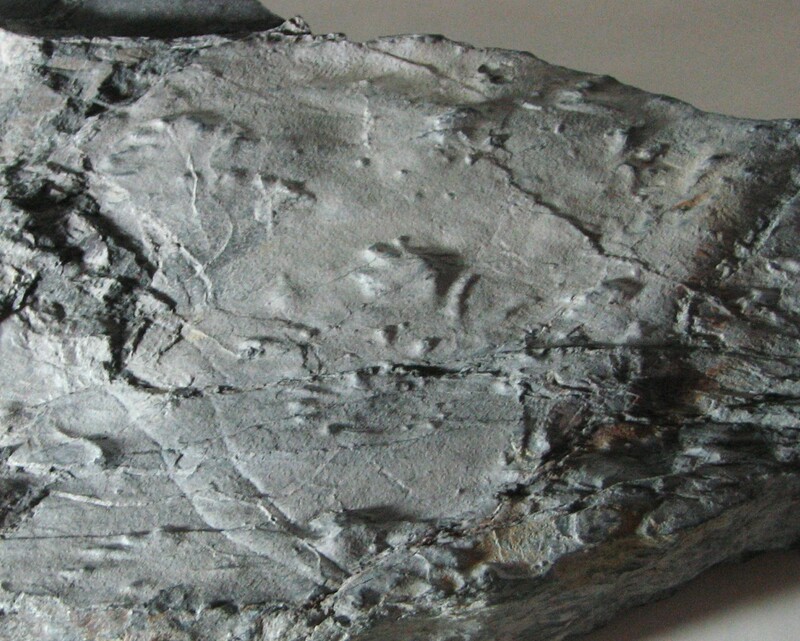 These insect tracks (above) are about 315 million years old. Amphibians soon followed around 417 million years ago.